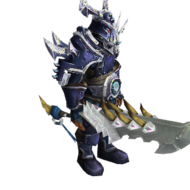 I know that a guy asked already for something similiar i nthe shop,but what about putting in the shop a Frostmourne ,But not the sword of Arthas,well,i mean, a Replica of Frostmourne,just for cosmetic Purposes for 100 Fire storm points, bet peps would love it. Have a nice day! Will the development team bring back Paypal as a payment method anytime soon? why should I check FB page?! Hey support ! 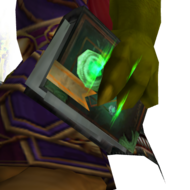 I have a suggestion,why u don`t put in SW and Ogrimmar some portals to the main cities like from SW to Ironforge or other cities?And of course why don`tyou give a heilroom weapon to new players and also last,why dont you make all flying paths discovered? !That will help leveling up process a lot,and I think that a lot of players will agree with all my suggestions ! Thanks&GL ! 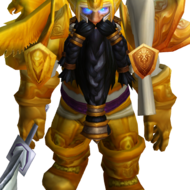 In my opinion, a lot of players will welcome Legendary Transmogrifier NPC on WoD realms. 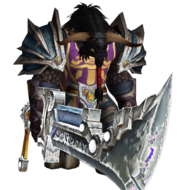 Why not to have legendary trasmogrifier on WoD realms too when we have it on MoP realms. This is mainly aimed at WoD, since I don't play MoP anymore, and that's to sort out the server. If any effort at all is going into fixing bugs (PvP is all I've seen, I don't do PvE). A few reasons why I think bugs aren't being sorted out are because developers are putting more effort into cosmetics rather than actually sorting bugs. For example, the big Firestorm update. Developers spent months on the project when they could have put that time into improving the server's quality instead of actually fixing bugs. Another example is now Legion. It's totally off topic and going onto a new expansion that will have even more bugs that will take up time of developers. Yes, it's great you have the world's first Emulator, but if that's where all the effort is going, then it really isn't worth it. 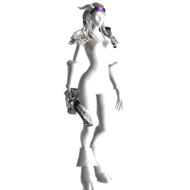 Especially now, since the 6.2.3 update, I've seen versatility stacking shadow priests getting Power Word: Shield's for 100k (I'll provide a SS whenever I can), which has probably already reported, I assume. Another is balance druid solar beam bug. It's not been working for over three months now(that I've counted), I believe, yet no fix whatsoever has happened. 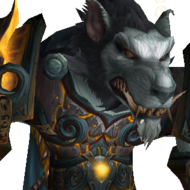 If developers started putting more effort into fixing bugs, I'm sure this would have already been done and dusted and under the carpet, but its not happened and it's severely limiting balance druid as a viable spec to play in arenas. If I'm mistaken, and effort IS actually going into bug fixes, then I'm sorry, but this is just what I've noticed. So, to conclude, stick to what you know, a lot of my friends are quitting because of general PvP bugs that are severely irritating. Thanks for considering.